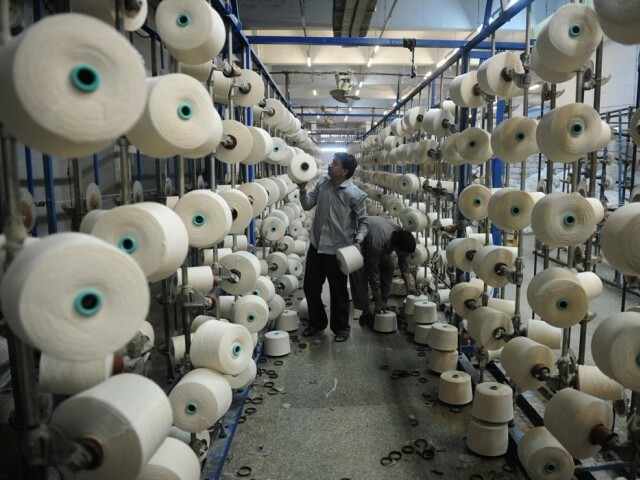 FAISALABAD: Chinese textile giant Shandong Ruyi Technology Group Limited has paid the first installment to the Faisalabad Industrial Estate Development and Management Company (FIEDMC) in order to start construction work for Pakistan’s largest cotton-spinning mills. With a total investment of $2 billion, the mills would consist of 600,000 spindles, generating thousands of jobs in the textile hub of the country. A delegation from the International Commercial Bank of China (ICBC) has visited the project site and approved the investment plan for the Faisalabad Shandong Ruyi Textile Park, according to FIEDMC officials. FIEDMC CEO Aamir Saleemi said there were rumours that China was planning to reverse the investment plan and was no longer interesting in installing textile units in Faisalabad. He added that there was no truth to this, as procedural work leading to construction activities is already under way. They are making payments according to the agreement with FIEDMC authorities, he added. According to the agreement, the Chinese have to complete the payment in three installments. The first will cover 10% of the total amount, while the second will cover 40% and 50% will be covered in the third. The 10% was the cost of land as investors will now pay the second instalment next week. This is just the beginning, Saleemi added, as they are expecting huge Chinese investments in the industrial estate in the near future. In the beginning of October, FIEDMC issued the letter to the Chinese group to start their construction work according to the contract. Infrastructural and construction machineries dispatched from China will arrive in Faisalabad in a few days. According to authorities, Shandong acquired the land and started construction work. They added that the construction of buildings, residential apartments and boundary walls has officially begun. Two coal-based power plants of 270 megawatts – 135 MW each – are installed in the industrial estate to facilitate the energy requirements of the companies. The development of the zone is increasing as other Chinese companies are also showing interest to invest in the area. Saleemi added that a well-known Chinese dry battery manufacturing company has also purchased 14 acres of land to install a unit there. Saleemi said that the Shandong Ruyi group was directly engaged with the FIEDMC management in all their financial and investment plans. He said there is no connection to the agreement the Chinese group has with Masood Textile Mills (MTM). “It might be possible that they have problems with MTM to withdraw agreements of partnership, but Shandong was directly involved with FIEDMC,” he added. To facilitate the Chinese investors, FIEDMC started teaching the Chinese language to their employees. For this purpose, they signed an agreement with the National University of Modern Languages Islamabad to deliver daily Chinese language lectures at the FIEDMC office. According to industry experts, Shandong Ruyi is one of the largest textile conglomerates in China. The Chinese are losing competitive edge in their home country because of high wages – almost six times higher than in Pakistan – which gives them more incentive to invest here. This is the highest foreign investment in the textile sector of Pakistan, they added. Published in The Express Tribune, November 3rd, 2014. Cotton stored at a mill was destroyed in a fire that started due to short-circuiting on Monday. Analysts believe transaction could have brought in Rs6b investment. If Shahbaz Sharif continues to govern Punjab for the next few years, Punjab will continue to grow and develop into an economic powerhouse. @Humza: I would absolutely disagree with you. Shahbaz Sharif believes in BIG projects only. I’m a small businessman and my application to approve a building design is stuck in LDA for several months now. LDA wants bribe. Buts this is just a part of every Pakistani’s life so might as well not consider it to be a hinderance. Well, it is. though i like Foreign investment.. but not when they are investing in your core industries… our core cotton, wheat, leather etc industries are struggling due to shortage of Electricity and government corruption… by having foreigners investing, the governemnt will give them prefrential treatment.. hence we end up loosing out and all profits are taken overseas!! !… Besides the Sharif brothers look for bigger projects where they can keep their hands wet! !